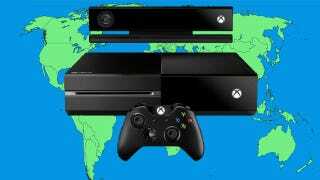 We already knew that Asia wasn't getting the Xbox One until 2014, but according to Xbox's Product Pre-order Information page, the Xbox One requires being connected in countries and regions that are Xbox-One supported. Don't live in one of the 21 countries on that list, and your Xbox One might not work, regardless of if you have an internet connection or not. So don't feel singled out if you live in an area of the United States with spotty internet service, Microsoft is choosing to ignore entire countries as well.